Always a little late on the hits & misses train. But oh well! These were my January Hits & Misses! The second lipstick was my after Christmas splurge - I have wanted this Lipstick for months and I finally caved after I got some gift cards for Ulta. In case you don't know what this little tube of jesus is - its the Too Faced Melted Liquid Lipstick in Melted Berry. And, I, Love It. It smells so good, it applies liquid and dries matte, and has amazing staying power. Also the color - to die for. I love this shade of berry. Did I tell you I had been lusting after it for months? I've also been using the new purse I got for Christmas from my biffle! Her sister and mom make these cute purses in any fabric that you want! 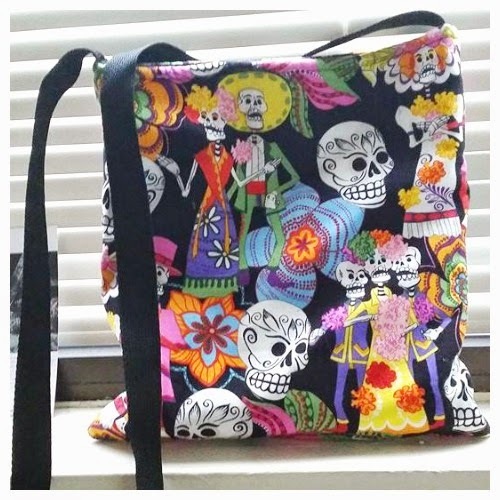 My friend personally picked out this purse because I am sliiiiiightly obsessed with skulls. And I absolutely love sugar skulls and anything Day of the Dead themed. Her sister actually runs a small business that sells these adorable bags - so if you want to purchase one check out her Facebook and Etsy. Shes also made me a makeup bag made our of adorable pirate skulls and crossbones and other just small zippered bag that is Star Wars themed. They are all so cute and definitely affordable! To clease my face I have been loving the two items on the right. My Mom actually recommended both of these items. She had a small sample of this Garnier Clean Exfoliator and it works so well, and smells divine. I find myself more eager to keep my face clean and wash it when I have a face wash that I actually enjoy using! 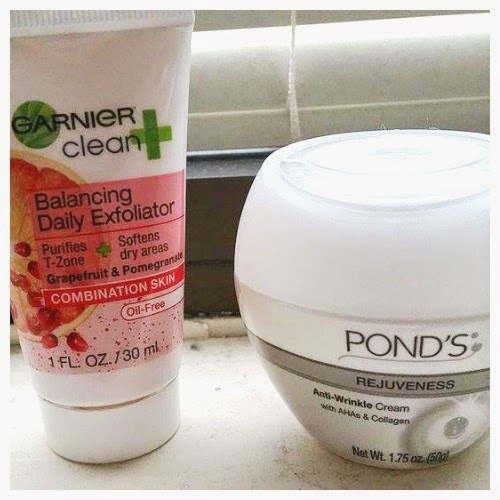 After cleaning my face I've been using the Ponds rejuveness moisturizer! A little bit goes a long way with this moisturizer and it makes my face feel so smooth. It smells pretty good too. And finally - a miss! 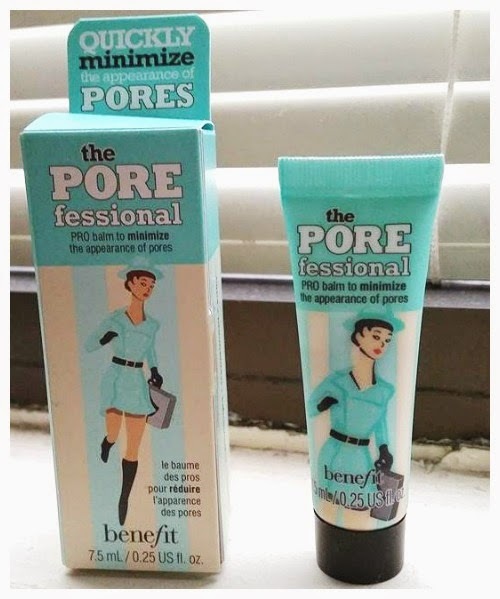 I'm seriously disappointed to let you guys know that the Benefit Porefessional is just not for me. I know that this is so many people's holy grail primers - but for me, it simply isn't. It applies like heaven and my skin feels so buttery - but only after 20 mins of my skin feeling like its going to burn off and melt off my face. I gave it the benefit of the doubt the first time - and tried a second time. Which again led to a terrible face burning sensation that was definitely not worth the $13 that this little tube is worth. Did I also mention that this stuff is expensive? Ugh. Now its just sitting in my collection looking cute but not being used. I am definitely going to have to do that - back to the $3 drugstore primer for me! It gave me 3 pimples for a couple days but nothing that was too terrible or that a good concealer couldn't cover!